Whenever the word SEO passes through our sight the only thing that strikes our minds are Keywords. As a matter of fact, it’s not just about keywords only. There are other factors which have a presence in your web page to optimize it better. So what actually those factors are. Is your site fully formatted and well structured? What are you explaining about in your article or blog? Do you choose a single keyword or a combination of long and short tail keywords? Does your page is providing internal linking? If you have quite a productive approach towards these questions. Then sure you will win the race of ranking top inGoogle searches. 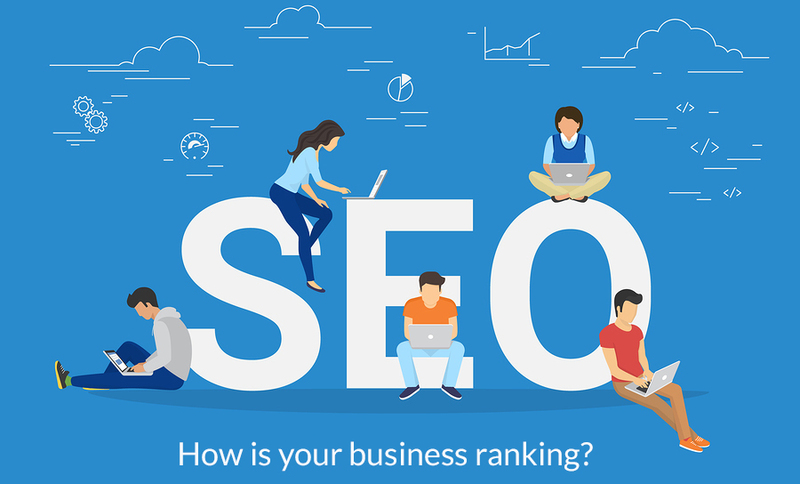 A key element for optimizing and better performance of your website is SEO. But Google has made it more complicated as nowadays it’s more about relevancy and intensity. Here we will learn some key elements for optimizing our web page and providing the best SEO services to our website. The very first priority before heading writing to your page is finding exact keywords. The Content with relevant keywords is a success. But scattering a whole lot of keywords throughout your webpage would affect Google searches. Be precise and select up to 5 keywords for a single web page. The primary keyword you choose must be a part of your title. You can make a catchy title by starting with How to ……, 20 steps to…., 5 tricks to….. Keyword follows later.So next time when you plan to write something simply try these titles as it will give a CTA (call to action) tone to your audience. They will surely gain attention to read further. A Meta description is an insight to view of your page. The presence of a focused keyword is mandatory here. A concise view of your Meta will give a CTR (click through rate) to your web page. Another important point is headings which will format the page and helps in SEO too. Make your content more attractive by dividing content under different, relevant heads. Just the way this article is divided into different headings to gain attention and making it more engaging. Adding images to the text with the right keywords is one of key factor in ranking. Saving the images on your computers and searching it will become quite handy if it is properly described. The URL is what describes the content you put on your web page. Your URL is the one which reflects your webpage. Use 3 to 4 words for a better URL. Off page, SEO is making voes on the internet these days. Making internal and external links to your web page will make a flow to reach to other content of your website and other relevant niche sites. In anchor text put those links which are relatable to you web page. Link building is an important factor.Follow these points to get proper links. Add your post as a guest post to popular sites. More Relevant content will make a more clickable web page. This also helps in increasing traffic to your site. Content can only be better optimized if it is of high quality and relevant keywords. The focused keywords should be present in the first 100 words of your content. Make sure the primary and secondary keywords you choose must best fit your webpage. The algorithms of Google works flash fast in optimizing the overall look of your page. Your web page must be easy to load. If it will take time to load a page than it is likely to lose the interest of the targeted person as he might give a bounce back and start searching for another one. An average of 85 scores of speed leads to the good performance of the page. A page speed tool must be installed to measure a good speed. A web page should be formatted properly and above the fold which is common terminology in Google. To make your web page more interesting and appealing follow these rules. Use a mobile-friendly layout of your web site and page. Don’t make your content clutter and inefficient. Make it reachable to each audience. A webpage generates money through its ads. Therefore, ads are a really important element in your page layout. But keep those ads down as Google wants your content first than ads. CTA (call to action) is also an integral part of your web page. Make your audience stay on your page by engaging to the content and to your website by providing internal links to your website. Forcreating a unique content for your webpage. Make sure to give it thorough research. Scroll through search engines and see what others have done. Read through their material and then try to develop a distinct one for your page. Make integral changes by analyzing others work. Make sure to provide highly optimized content to search engines by following the above-mentioned rules. These basics of SEO will enhance your web page readability. Guest article written by: Muhammad Aban works as a content editor at Web designing Karachi and he has been working since nine years as marketing executive. This is such a wonderful post. You have shared a very informative and helpful post. Previous post: How to save money on cable TV and internet services?